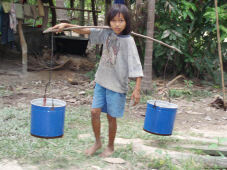 support education, clean water... by renting a bicycle for $2 USD a day! The White Bicycles is a non-profit charity providing over 50 rental (hire) bicycles to 9 hotels and guesthouses in Siem Reap, Cambodia. We would like to welcome our latest partner guesthouse: Baby Elephant Boutique Hotel. Proceeds from bicycle rentals support clean water, educational and other projects like the Giant Puppet project( 2014). Market White Bicycles as a carbon-free, green transportation for guests. 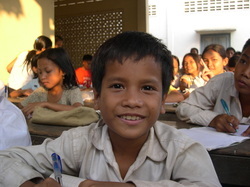 Promote projects funded by White Bicycles such as scholarships for local youth, clean water. 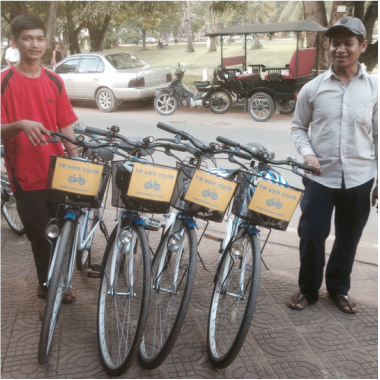 Thanks to your support we are now the largest bicycle rental service in cambodia. THE WHITE BICYCLES PROJECT IS FINANCED AND MONITORED BY NEDO, THE NORWEGIAN EDUCATIONAL DEVELOPMENT ORGANIzATION.